The listed badge workshops include a 30-45 minute staff-guided workshop. The fees listed are per Girl Scout and include staff- guided workshop, all materials and one hour of museum playtime after. The Troop leaders are responsible for purchasing the actual badges. 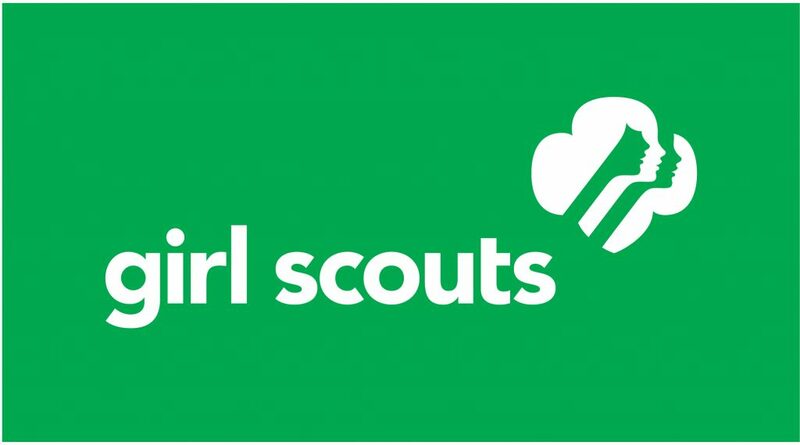 Please contact the Program Manager at (920) 432-4397 to reserve a date and time for your troop. 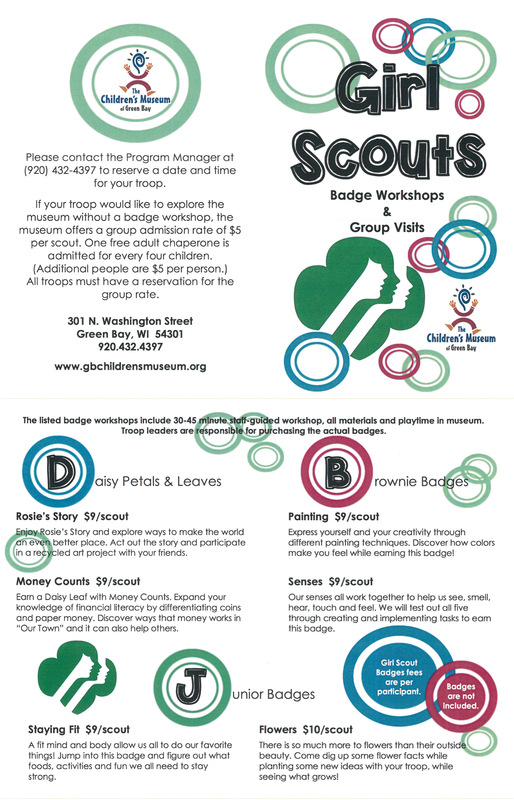 If your troop would like to explore the museum without a badge workshop, the museum offers a group admission rate of $5 per scout. One free adult chaperone is admitted for every four children. (Additional people are $5 per person.) All troops must have a reservation for the group rate. Enjoy Rosie’s Story and explore ways to make the world an even better place. Act out the story and participate in a recycled art studio with your friends. Earn a Daisy Leaf with Money Counts. Expand your knowledge of financial literacy by differentiating coins and paper money. Discover ways that money works in “our town” and how it can also help others through this hands-on experience. Express yourself and your creativity through different painting techniques. Discover how colors make you feel while earning this badge! Our senses all work together to let us see ,smell, hear, touch and feel. We will test out all five through creating and implementing tasks to earn this badge. A fit mind and body allow all us to do all of our favorite things! Jump into this badge and figure out what foods, activities and fun we all need to stay strong in life. There is so much more to flowers than outside beauty! Come dig up some flower facts while digging and creating to earning this badge.